Yes, You can configure OpenWrt IP LAN and DHCP with in 10 minutes without internet. DHCP (Dynamic Host Configuration Protocol) is a client server protocol. which is used to provide automatically IP address to client and other network information. Once you configure the DHCP server, you need to manually configure the client servers, it will automatically configure them all. In this we provide you the information about how to configure the OpenWrt IP LAN and DHCP? The below are the steps to follow to configure the OpenWrt IP LAN and DHCP. Configuration of Local IP address is required when using the OpenWrt in client router. It is not quite easy to configure the OpenWrt LAN and DHCP, so it is essential to follow the steps carefully. The steps to configure OpenWrt LAN and DHCP are provided separately. 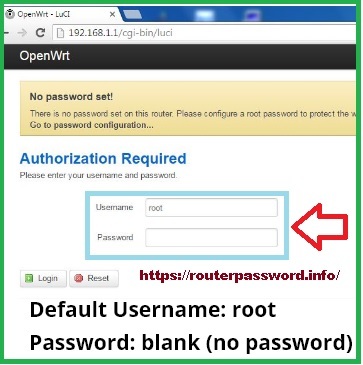 The below are the steps to follow to configure the OpenWrt IP LAN. To configure the IP LAN first of all we need to open the OpenWrt in your browser. For configuration open the browser in your laptop and type 192.168.1.1 in the address bar and press enter button. Then Openwrt page with Authorization required is displayed on the screen. Enter the default username and password in the login credentials. Username is root and password has to keep blank and no need to enter. After login you get a yellow color notification that is password is not set. To set the password click on notification and set up the strong password. And then change the OpenWrt Default IP address. For that on the top of the page some options will be there, in that choose for the work options. Inside network option, click on “interface” option. After that you will get all interface details of your router. LAN interface icon will be in Green color and WAN interface color in Red color. 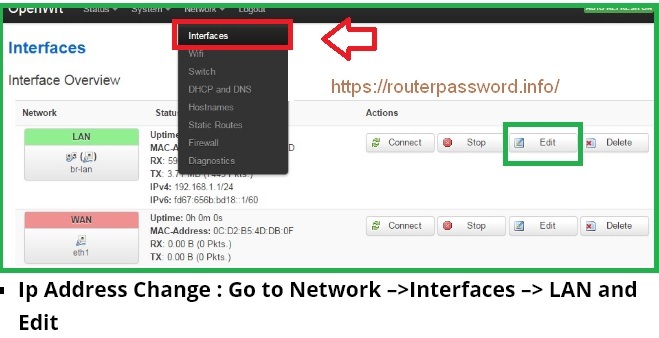 To change the LAN configuration click on LAN Interface. In that LAN Configuration Protocol is set to static address, you have to leave it as it is. IPV4 Address: 192.168.1.1, here you have to put your new IP address. IPV4 Netmask: choose the netmasks from the list as per your IP address. Gateway IPV4 : you can add your gateway as per your choice. The IPV4 Broadcast: leave it blank. This is the process to configure the OpenWrt IP LAN address. If you are using the OpenWrt as AP mode it is not necessary to enable the DHCP server, but if you are using the OpenWrt as a router then DHCP has to enable. For that below are the steps to follow to configure DHCP server. Under the settings page of the OpenWrt, below you can observe the DHCP server options. In that you will found like the below. For Ignore interface option Disable DHCP for this interface. If the checkbox is checked it means DHCP server is disabled. If the checkbox is not checked it means DHCP server is enabled. Start IP : 2 this IP server start providing from this number. End IP: this will be last IP server will provide to client. And click on save the changes and apply. By this you can configure the OpenWrt LAN and DHCP server.